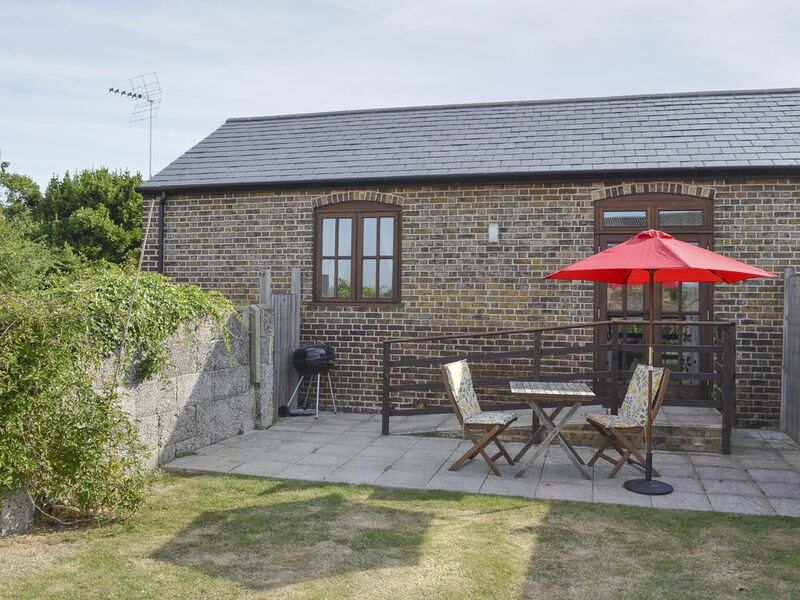 Set within 120 acres of farmland this cottage makes a perfect retreat after a busy day exploring this beautiful corner of England. Set on the owner’s working fruit farm, these three terraced holiday cottages, each with their own enclosed area of garden, offer the perfect base for exploring the natural beauty of this area. With views across the Northward Hill RSPB Nature Reserve, a converted barn has been reborn as charming cottages with 120 acres of farmland adjacent to the heronry, the largest in the UK. You may also be lucky enough to catch a glimpse of the local barn owls, buzzards, egrets and the other abundant wildlife. In a quiet rural location yet only 8 miles from Rochester with a wide range of amenities, famous for its connections with Charles Dickens, or the cathedral city of Canterbury. The village of High Halstow is approximately 2 miles away and has a pub serving food, post office and grocery store. A perfect base for exploring Kent, the Garden of England and reaching London from Ebbsfleet for the high speed link. Ideal as a base for The O2, Greenwich Park, Westfield and Bluewater Shopping Centre. Golf nearby, varied cycle routes and fishing for trout in the owner’s reservoir (additional charge applies). There are free range chickens, geese and ducks on-site and opportunities to enjoy the blossoms and sample the fruits in season. The farm supplies high class fruit to many of the top restaurants in the area as well as the quality retailers and supermarkets. Shop, pub and restaurant 2 miles. All on ground floor: Living room with French doors/dining room/kitchen with beams. 1 double bedroom. Shower room with toilet. All properties: Gas central heating, electricity, bed linen and towels included. Travel cot and high chair on request. Freeview TV. DVD. iPod dock. Electric cooker. Microwave. Wi-fi. Enclosed lawned garden with sitting-out area and furniture. Barbecue. Use of owner’s 140-acre fruit farm. Welcome pack. No smoking. For property 27527 only - Ramp to front door and ramp from french windows to patio.